Despite of numerous pleads from supporters and friends who fear that I might lose votes from those who think it is not appropriate for anyone to discuss about the Mt Kinabalu tragedy or "blame" anyone because it is some "unforeseeable natural disaster", I have persisted in putting the records straight that 12 year old kids are not supposed to be allowed on such "mountain climbing expedition". Why? You may ask. Am I not afraid of losing votes when my detractors will capitalize on this and paint me as heartlessly politicizing this tragedy? When I heard about the tragedy of 12 year old students dead from the earthquake while on "mountain climbing expedition", my first reaction is "that is insane to send 12 year old kids to climb mountain!". It is a natural quick reflex reaction from a person who have not only go on quite a number of mountain climbing expedition but who has actually led such expeditions. When I watch the video of the happy and cheerful victim making her last farewell video before the tragedy happened, I was devastated. She was just like my own 12 year old daughter! Always happy and cheerful whenever she went on some excursions. 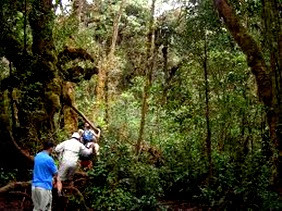 However, this is no ordinary "excursion" but some crazy ambitious outdoor expedition that was not meant for 12 year old kids! I felt extremely sad but at the same time, extremely angry with the irresponsible decisions made by those people up there. I will put it plainly, between risk losing my elections or putting more innocent young kids to risk their lives to some activities that some silly MOE allows to happen, I would rather risk losing my Elections than allowing MOE continue to white wash their responsibility off and carry on putting young lives to take unnecessary risks. 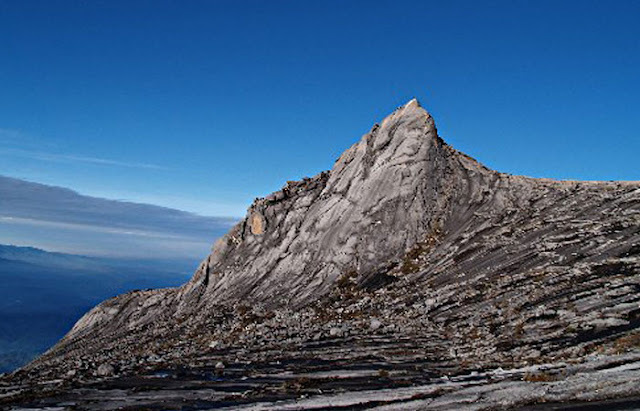 MOE and its Minister are not just brushing off their responsibility by trying to repeat that this is just "natural disaster" and "there is no fatal incident for the past Mt Kinabalu expedition", subtly implying that there is nothing wrong for MOE to approve such activities for 12 year old kids. Furthermore, Minister Heng Swee Keat's open statement which says that the Mt Kinabalu climb is not "challenging" really made me extremely mad. He must have asked some people from his ministry to do some "research" on Mt Kinabalu climb and the common stance is that it is not "technically challenging" because you do not need to use special mountaineering gear or equipment to climb Mt Kinabalu. 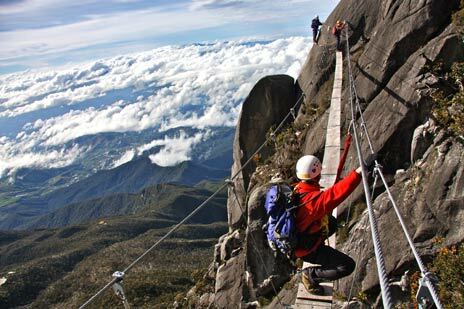 However that doesn't mean that such climb is not "risky" at all! Thus such statement from the Minister is totally misleading. In the bid to wash off their responsibility, MOE and its Minister have unwittingly and stupidly spread the misinformation to Singaporeans who may not understand what mountain climbing is all about. This may lead to more Singaporean kids being sent to take unnecessary high risk to participate in such risky activities! That is why I find it totally necessary to stand up and fight against such propaganda of misinformation else we will be risking more young lives like my daughter! Most people said to me, "Can you wait until the funeral or grieving period is over?" I wish I could but not with such pervasive propaganda by the Main Stream Media under PAP's control. The poison of such misinformation would have spread too widely, too deeply. Never mind if people misunderstood me as being "disrespectful" to the dead. No amount of "SHOW of Respect" can resurrect them. The only good thing I can do for the dead is to prevent such misinformation to poison Singaporeans' mind and to save many other young kids from being put to such unnecessary high risk activities to put their lives in danger. I hope the dead students and teachers in this insane expedition can forgive me for being vocal during this period in performing my duty and role. I will continue to blast MOE and the Minister until they wake up their bloody idea. 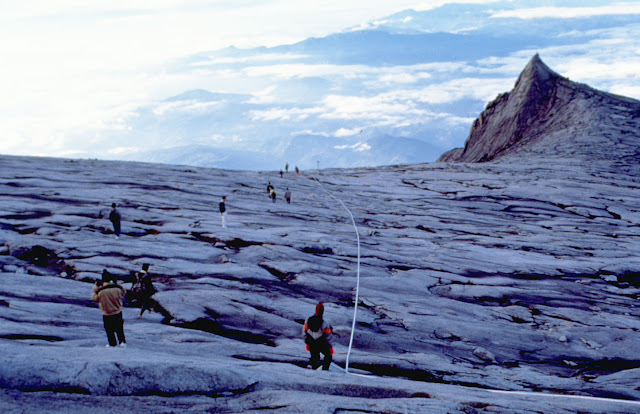 They have to recognize and admit that sending groups of 12 year old kids to climb Mount Kinabalu is totally wrong in putting them to unnecessary high risk. Else I will continue to drum into their thick skull until they change their policy stance. I sincerely hope all other Singaporeans who share the same view as me will stand together and press on, by writing and voicing out against such insanity and propaganda of misinformation by PAP. Let us get this straight to PAP, don't mess around with our children's lives! 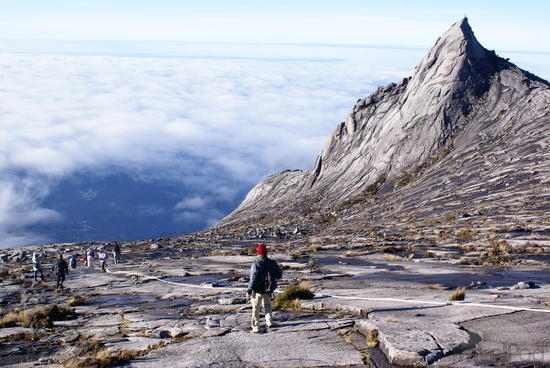 I have roughly gone through the THREE main risks of climbing Mount Kinabalu and I shall elaborate more here. On top of any mountain which is 1000m and above, it will always be WET in the morning. 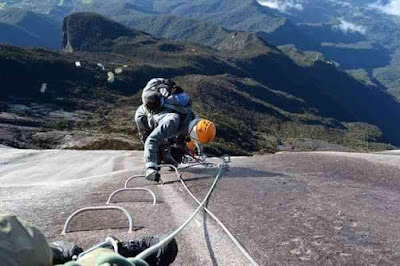 Many climbers have stated in their writing that it started to drizzle or rain during the early morning climb to the summit. Actually that may not really be "rain" but just "condensation" during "dew time" whereby the sudden drop in temperature in the atmosphere will result in a condensation of water vapor droplets in the cloud or atmosphere. These will turn into water droplets and drizzle down onto the mountain. This is also the source of water for the many rivers and streams running down from the mountain. Such condensation will make everything wet on the mountain and couple with the granite rocky path leading towards the peak, this will make the climb extremely slippery. Most of the time the climbers started very early in the morning (2 am) so to catch the sunrise and thus, you just imagine walking uphill along such slippery rocky path in the darkness with sharp rocks everywhere along the climb. Is that risky? As Kinabalu is situated in tropical region, humidity in the atmosphere is high and thus, you should expect such wet situation every morning without fail. At the height of 4095m, the thinning of air and thus reduced oxygen is a real challenge to many people. When your lungs lack oxygen, your heart beats will rise, your brain lacks oxygen, your mind will become lethargic and reactions to situation will be compromised. Even when you do not suffer from altitude sickness, your body coordination will be compromised. And if you are expected to climb that slippery rocky path, the risk is actually much higher than most people think. 3) For any mountain climbing, the more hidden risk lies in the descending part. This is because after the climb of the summit, there will always be the feel of excitement and joy. On top of that, due to the effect of gravity, people normally thought that the descend should be "easy". However the strain on the knees and ankles is the greatest when you descend and if you are not careful enough, you may just slip and fall down the path. 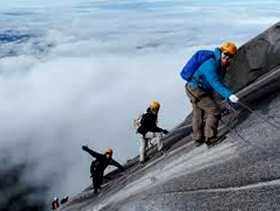 And if the descend is made in the morning, the initial descend will be faced with slippery path. 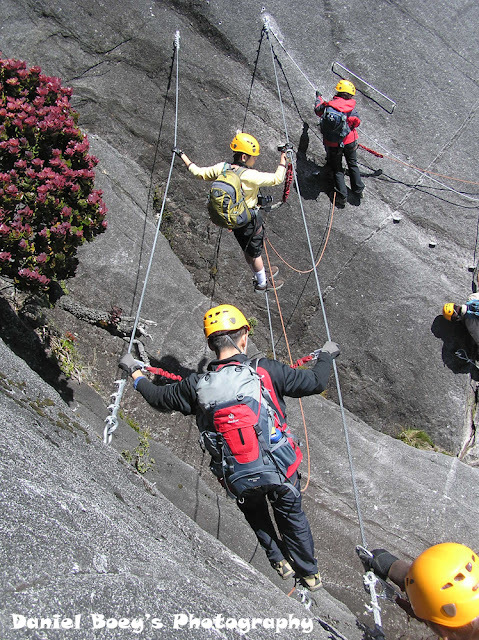 Most serious injuries to the knees and ankles are suffered during the descend. These are the basic inherent risks which mountain climbing will have and that is why mountain climbing of certain height will always be considered as medium-high to high risk.